AdGrid background image advertising is a new and very powerful way to advertise on PaidVerts. Your banner will be shown as background to our AdGrid, where users click on parts of the grid with a background, to view ads from one of our advertisers. When users click on this grid, they will see your banner as background, which embeds in their memory more than just viewing a banner. As users will click on your image repeatedly they tend to want to know more about this image/website behind it - which is what stimulates them to click on the link to your website, which is outlined directly below the adgrid. What you buy are what we call “impression-clicks” - when a user clicks on the adgrid with your banner as background. The link to your website that will be outlined below the adgrid, will appear on every impression of your banner as background on the adgrid. If the banner is displayed as the background and the user doesn’t actually click on the AdGrid, then it doesn’t count towards your delivered impression-clicks, but the link to your website below the adGrid can still be clicked on! There is no limit to how many times your link might be clicked - it can happen on every impression of your banner as background, which will be in rotation until your impression-clicks are delivered. This type of advertising is a very powerful hybrid between the typical text ads, banner ads, link ads and action based advertising, combining the best of all. 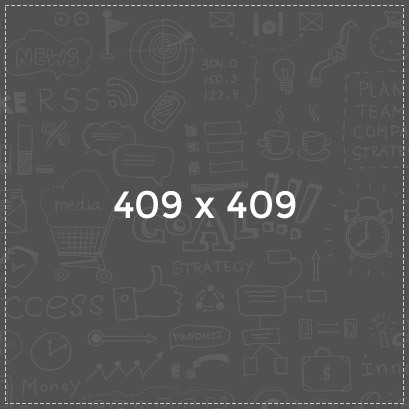 As AdGrid advertising is a new and very specific type of advertising, the banner images for this type of advertising have to be exactly 409x409px in size! We realize that this is not standard banner size, but we must enforce it for best performance - also by forcing you to adapt to this image size you are ought to design your banner most fit for this type of advertising, again as we want you to maximizie your advertising results. Note that your campaign effectiveness will greatly depend on how well your image attracts our members to to click on your link below the image. Please note that amount of link clicks to your campaign via the link displayed below the grid, will greatly vary and depend on how well your background image and the text below the image attract the users.